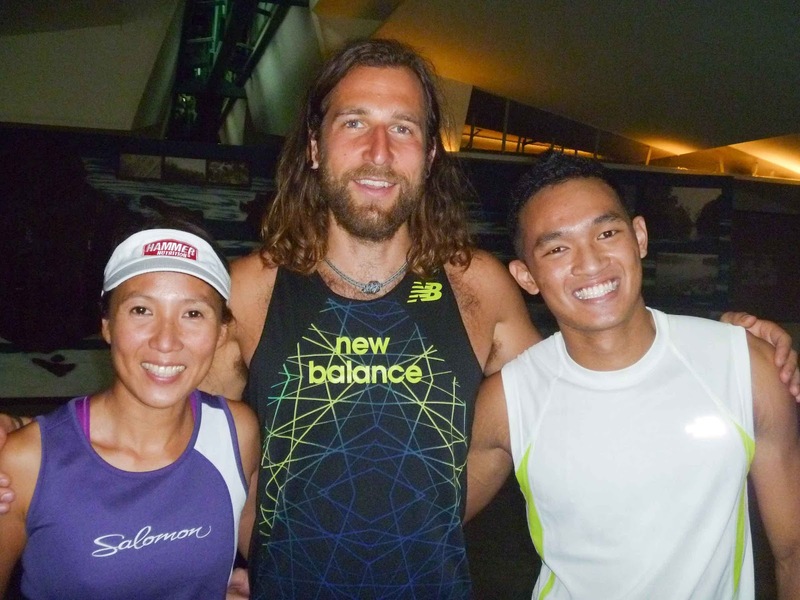 This week, Anton (Tony) Krupicka caused a bit of a flurry amongst the ultra-running community here in Singapore when he flew in to promote the launch of the Minimus Zero range by New Balance. 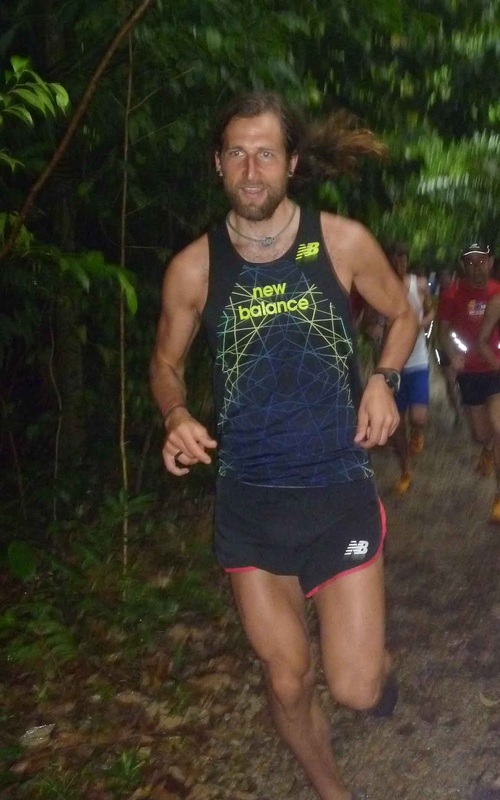 Tony is a two-time winner at Leadville 100, one of the toughest 100 mile races in the US. 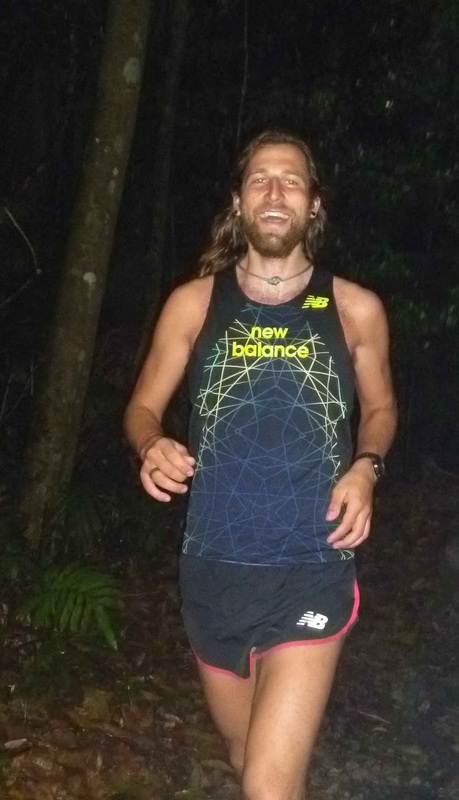 His race resume is littered with first places and PRs in 50 and 100 mile races, particularly if there’s a mountain or two along the route. 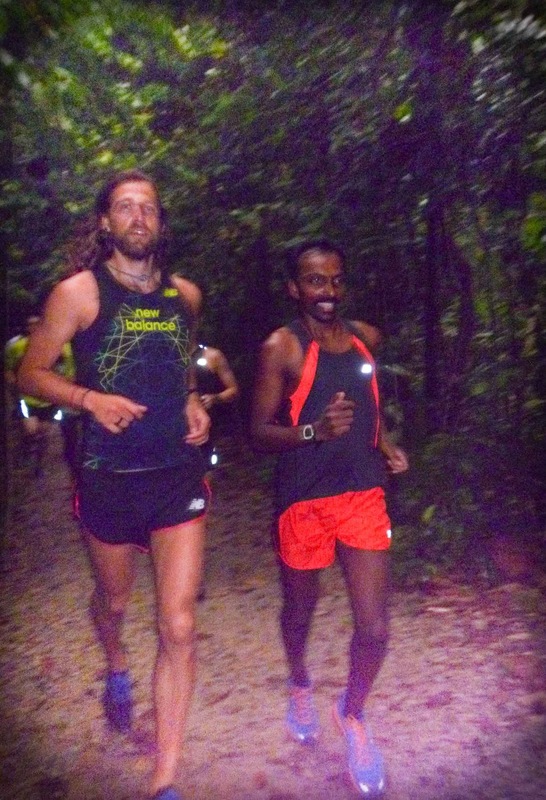 I had a great opportunity to run with the man himself on our local trail, together with 20-or-so other enthusiasts. Despite nursing an injury and jet-lag (he was in New Zealand prior to his visit), he’s light on his feet and gamely answers the questions being thrown at him without even breathing hard. 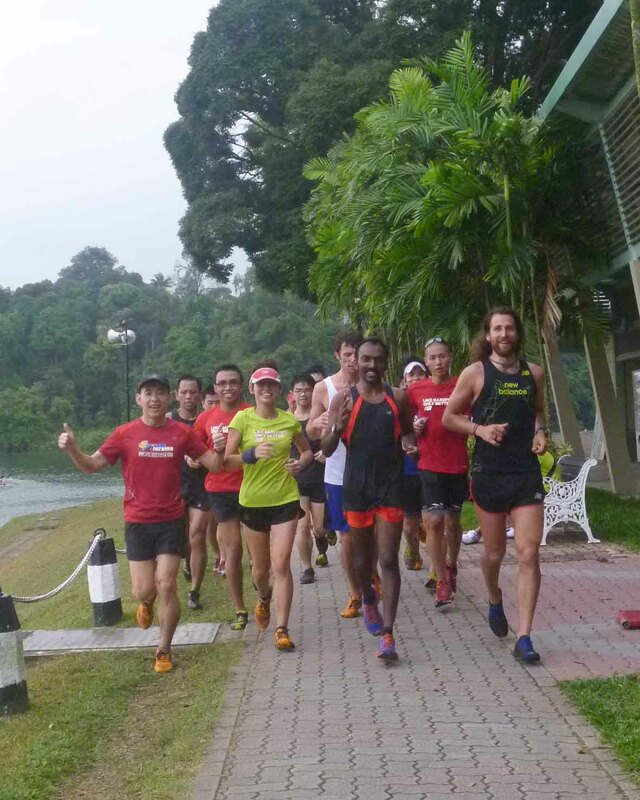 He didn’t expect the reception he received from fans and media at the launch event, it seems Singapore’s ultra-running community is growing fast! He patiently obliged everyone’s request for a photo or autograph, and answered all our questions with a smile. Definitely one of the good guys. 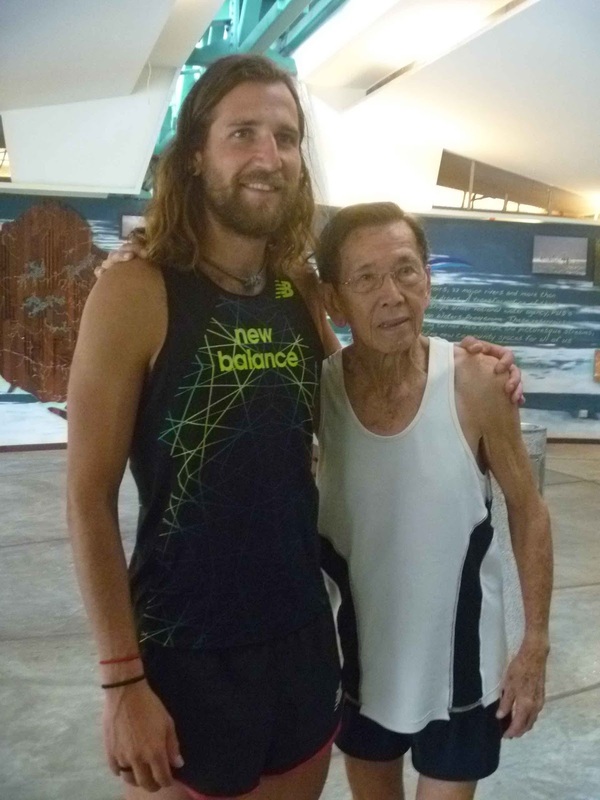 Mr Kor started running in his 70s, has done Boston once and qualified twice! When asked, he doesn’t have much preference when it comes to food as long as its fresh, but admits to having “plenty of baked goods and probably way too much sugar”. 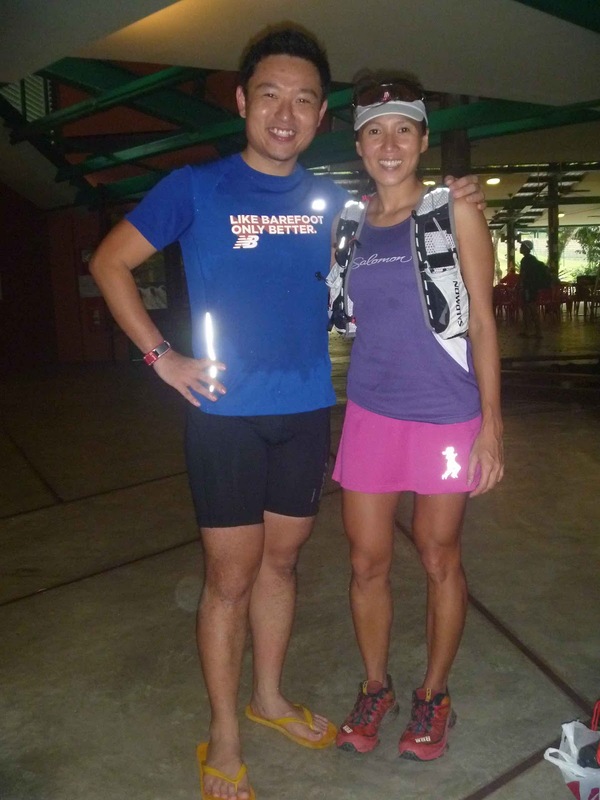 He liked our local chicken rice and nasi lemak, though! His main philosophy for life is “being present and not getting distracted from the very serious task of truly living”. And running in the mountains is the best way he’s found to do that. 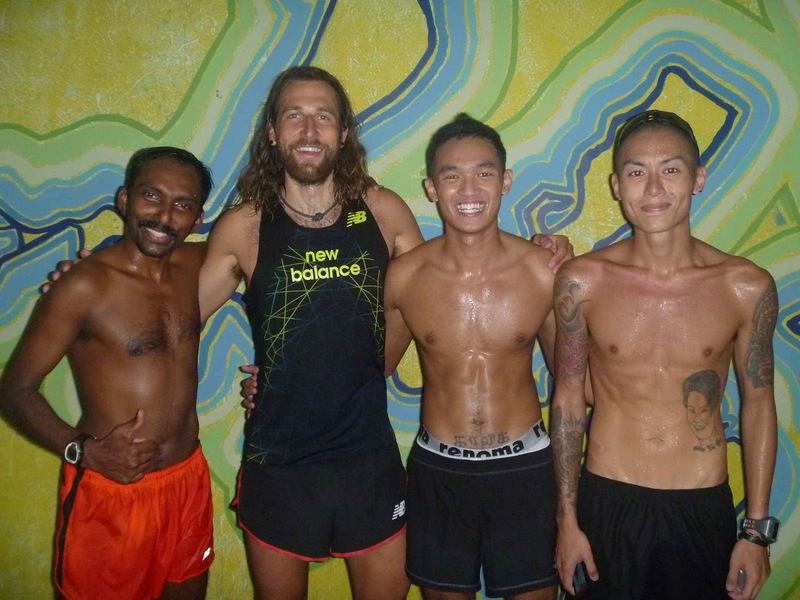 Tony’s well known for running in nothing more than his shorts and shoes, the bare minimum, happy to be slightly dehydrated and bonking a little if it means his run to the summit is unencumbered. Perhaps we can take something from this, with our busy lives and myriad distractions. Back to basics, stripped down to bare bones. Everything is distilled back into it’s purest form when we escape our distractions and concentrate on just being alive. I know I’m guilty. Sometimes I run and there’s so much on my to-do list that I can’t concentrate on what I’m doing right at that moment. It’s only when I remember to let it all go, that I remember why I run in the first place. I remember who I am. Some food for thought, a little inspiration and motivation, perhaps. 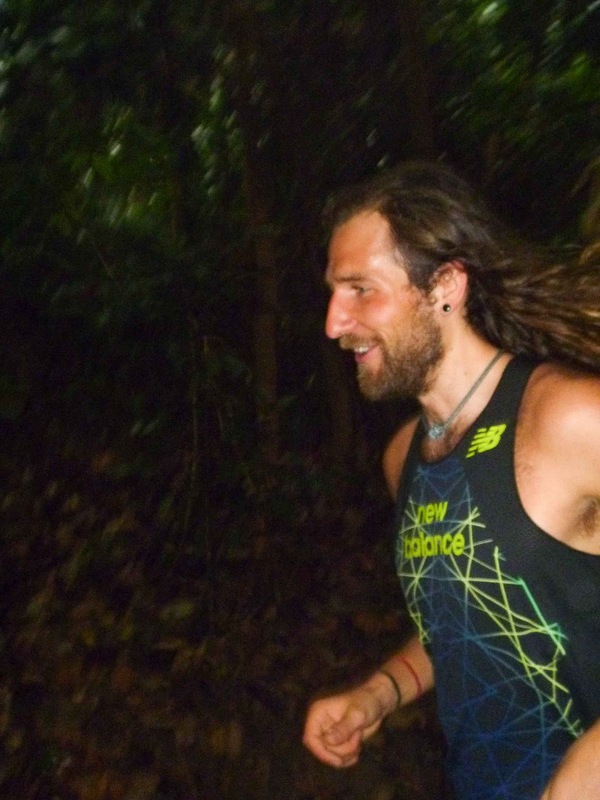 What’s getting you out for a run today? The boys bare all .. well, all but one anyway. "kill em all" in your next one k! will be rooting for ya.